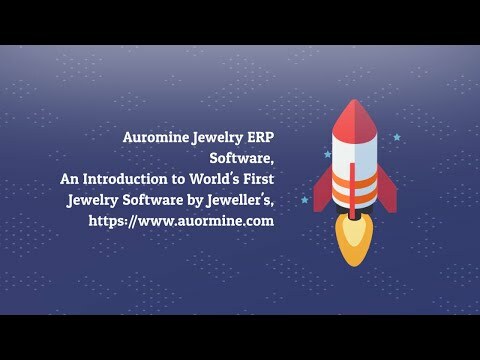 Jewelmine POS is retail Jewellery Software with inventory, accounts, bar-coding, billing and much more for entire retail Jewellery industry. Jewel mine Software is a web based application which helps in making day-to-day decisions with granulated control on master data. A user can control inventory movements from a central warehouse or at individual stores. Enables user to coordinate purchase with suppliers, as well as manage loyalty & promotions programs from a single location. With our inventory option, you can manage your gold, silver, and diamond jewelry stock. You can create a category and subcategory for your various accessories and ornaments with your inventory maintenance option. You can also add the various items VA %, MC, HM and their fixed and unfixed charges. Auromine Solutions spreads its reach to every industry sector in the world, making it possible for various businesses to benefit from us. Startups, stores, multi-international corporations, and much more.